Britain will not support Zimbabwe's debt clearance plan over "sickening" human rights violations seen over the past weeks, the Minister for Africa Harriet Baldwin said Tuesday. 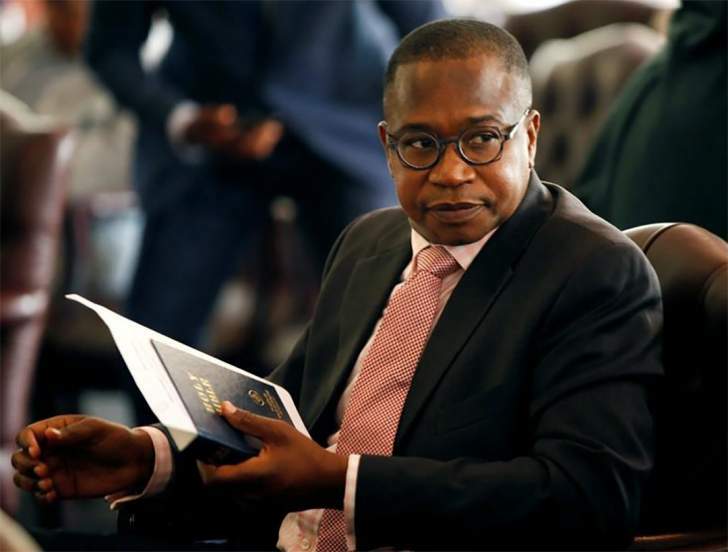 Finance Minister Mthuli Ncube is desperate to clear $2 billion worth of arrears to lenders such as the African Development Bank and the World Bank, and appeared to have secured a breakthrough last October when he presented his economic plan to EU countries in Bali. He hoped to clear arrears this year, which would allow Zimbabwe to access the new credit it badly needs. But his road map appears to be heading for a dead end, after Baldwin told the International Development Committee, which monitors the UK's development programmes for the British parliament, that events of the past three weeks make it hard for the UK to support any such plan. "There needs to be progress in terms of the arrears that Zimbabwe has to international finance institutions, and the recent violence from state actors makes it very difficult for me personally to try and argue that this is the time for the UK to be stepping up to the plate working with international partners to do this," Baldwin said. "The idea that we would step up to the plate and say ‘look guys, the government is doing this to its own citizens, shooting them with live ammunition, a range of other egregious violations, and you know what, the UK is really happy to argue that now is the time for them to be helped with their international arrears'; you may push back on this, but I find that a very difficult political case to make." Baldwin visited South Africa last week, and she said officials there are discussing a package to help Zimbabwe clear its arrears. "We will listen to that plan, but as the UK government's Minister for Africa, I cannot say that now is the time for us to really be sticking our necks out politically on the back of the kind of behaviour that we've seen from the government of Zimbabwe," Baldwin declared. Asked whether the UK would continue engaging with Zimbabwe, Baldwin added: "It is right to engage in terms of the messaging, and to set out the kinds of reforms that would enable Western democracies and organisations to work more closely with tackling the government's outstanding international debts, but I think we are a long way from that, and we've gone further away from that as a result of the human rights violations by the security forces." Zimbabwe has cleared its arrears with the IMF, but the country still owes $687 million to the AfDB, $1.4 billion to the World Bank and $322 million to the European Investment Bank. In total, foreign debt stands at $7.6 billion with $1.3 billion in arrears. To qualify for new credit, Zimbabwe has to clear its arrears first. Under the pari pasu rule, the country must simultaneously pay off what it owes to the World Bank, AfDB and other priority lenders. Ncube had been holding meetings, including with the UK, to have this requirement waived. After meetings in Bali in October, Matthew Rycroft, the UK's Permanent Secretary to its development arm DFID, showed some cautious support for Ncube's plan, tweeting: "Long road ahead on political and economic reforms. The UK, and others, stand ready to support reform efforts." However, this progress, and President Emmerson Mnangagwa's year-long carefully crafted plan to end Zimbabwe's international isolation, appears to have been shattered by his security forces' use of deadly force to quell violent protests over a fuel price hike.